Of Ukranian heritage, Filip Konowal was born in Kutkivtsi, Ukraine on 25 March 1887, and came to Canada about 1913. 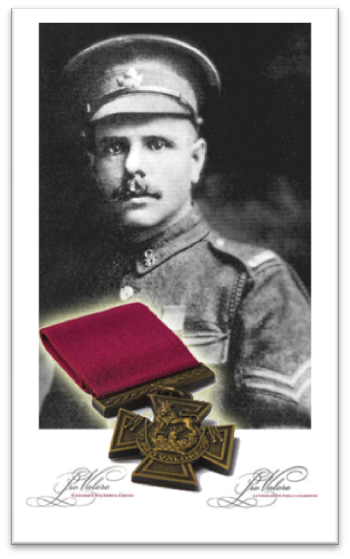 Having been trained as a bayonet instructor, he enlisted in the Canadian Expeditionary Force in 1915, served with the 47th Infantry Battalion, and eventually was promoted to the rank of corporal. Corporal Konowal earned the Victoria Cross for his actions from 22 to 24 August 1917 while leading his section in overcoming German resistance on Hill 70, near Lens in France. During these operations, Konowal himself killed at least 16 of the enemy. 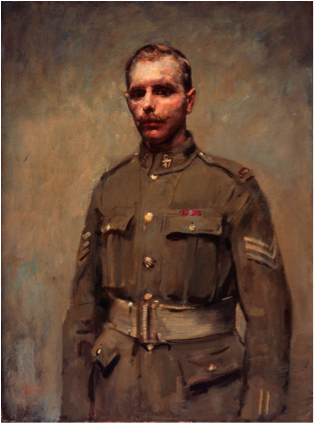 Arriving at one of his battalion’s objectives, he realized that a machine gun was holding up the right flank of the Canadian attack. Konowal assaulted the German position, killed the crew of the machine gun, and returned with the gun. The next day he attacked another machine gun emplacement, and killed three of the enemy before destroying the position and the gun with explosives. Corporal Konowal then continued his advance until he was severely wounded. When he had recovered, Konowal was for a time assigned to the Military Attaché at the Russian Embassy in London, England, before enrolling as a sergeant with the Canadian Siberian Expeditionary Force. He died in Ottawa, Ontario on 3 June 1959.